Inter will be looking to return to winning ways in the Serie A when they host Bologna at their Stadio Giuseppe Meazza on Sunday evening. The Nerazzurri are eyeing a place in the Champions League and they need to win games against bottom-table sides if they are to meet the goal. Inter dropped two points in a goalless draw with Sassuolo in their last home game, but we do not believe that they are going to disappoint the fans once again. The Rossoblu, on the other hand, failed to win previous 13 league fixtures and we do not believe that they are capable of spoiling Inter’s party at Stadio Giuseppe Meazza. A man to watch in the home team will be Mauro Icardi, who is likely to prove a handful for the opposition defenders in Sunday’s football match at Stadio Giuseppe Meazza. Born on 4 May 1988, Radja Nainggolan is a Belgian footballer who plays for AS Roma as a central midfielder. The combative midfielder failed to leave a mark on domestic stage, having left his first club Germinal Beerschot for Piacenza as a 17-year-old. Nainggolan soon started to prove his worth at senior level, earning a move to Cagliari in 2010. He continued with impressive performances in Italian Serie A and eventually snubbed a number of top European sides to join AS Roma in 2014. The central midfielder enjoyed a very good start to his career at Stadio Olimpico, while also establishing himself as a first team regular in the Belgian national team, helping the Red Devils climb to first place in FIFA Rankings and also qualify for the Euro 2016 finals. A highly skilled midfielder who does not shirk from defensive duties, Nainggolan is also famous for his fiery temperament that has seen him earn 2 red cards and over 70 yellow cards during the course of his career. Bologna FC 1909 is an Italian football club founded in 1909 and playing in the Serie A. The club hosts its games in the Stadio Renato Dall’Ara which holds a capacity of 40500 seats. The stadium is named after their former chairman. The club plays its home games in the Stadio Renato Dall’Ara since 1927. The club colors of Bologna are blue and red and is one of the most successful football clubs in Italy winning the Serie A 7times and the Coppa Italia 2 times in the clubs history. Lately Bologna is not performing like their glory times anymore. 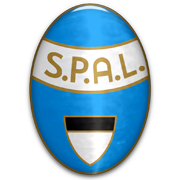 The club is often relegated to the Serie B but manages to get back to the Serie A on and off. Another important person in the club is Joey Saputo, Canadian but with Italian roots, which is owner of Bologna. Well known football players that wore the blue red colors of Bologna in their career are: Falcone, Dokovic, Nakata, Gillet, Pagliuca, Vieri and Zagorakis.